Populist politicians in Europe believe ‘the people’ will lead them to win several key elections in the next months. Polls in countries like France give them credibility. 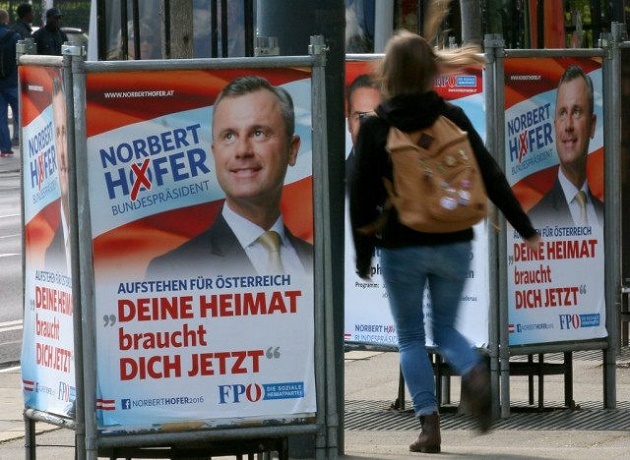 In Austria, FPÖ (Fredom Party of Austria) candidate Norbert Hofer, hopes to become President of the country after the election to be held on December, 4th. During the campaign, Hofer has mixed slogans referring to God with other strong remarks against migrants and refugees. In the midst of this social debate, what are the views of Austrian evangelical churches? 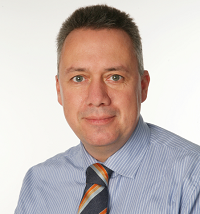 Evangelical Focus asked theologian and member of the steering committee of the Austrian Evangelical Alliance Frank Hinkelmann. Question. So far, more than 110,000 migrants have arrived to Austria in the last 12 months. Have the citizens become more fearful of foreigners? Answer. I believe there are several aspects to take into consideration. Overall, there is certainly a feeling that Austria has allowed too many refugees to come in. This is also why the government has come up with an annual limit of 37,500 who will be allowed to come in. The whole situation has certainly helped the FPÖ (right wing party) to gain support. On the other hand we also need to take into account that especially on a local level many Austrians are really coming alongside refugees, helping them to integrate and to learn German. So it is actually a mixed picture. My experience is, the more people get to know refugees personally the less fearful they are. Q. The FPÖ has a clear position against migrants. How are evangelical churches seeing this debate, are the members of churches fearful or ready to connect with refugees? A. I believe that the evangelical church mirrors the general feeling in society. We have a number of churches which are really reaching out to refugees, both in helping them in practical ways but also sharing the love of Christ. On the other hand, there are also many evangelicals who are afraid of Austria turning Muslim. In addition, we also need to take into account that evangelicals in the German-speaking world generally tend towards more conservative and right-wing parties. A number of evangelicals would support Hofer (FPÖ) in the presidential election because of his public stance against abortion. Van der Bellen (Green Party) is certainly liberal in this regard. Q. The historic Protestant churches have issued a statement criticising the FPÖ’s use of God in their political campaign. What is the position of the Austrian Evangelical Alliance? A. There is no official position on the issue from the Austrian Evangelical Alliance and you will find different opinions even among the leaders. On a personal level I very much support the statement of the Protestant churches. While I wholeheartedly agree that politicians who are Christians should be able and allowed to speak about how their faith influences their policies, I struggle if a politician uses God in his election campaign in order to gain votes. This is how I and many others would interpret what Hofer did. In addition, there is also a strange understanding of the so-called “Christian Occident” and the God of the Bible seems to be used to fit this historical concept. As the church leaders expressed, this certainly doesn’t meet a biblical understanding of who God actually is. Q. What are evangelical churches in Austria doing to help refugees? A. Many churches are very much involved in helping refugees in practical ways: they provide them with goods needed, they teach them German, they invite them to their churches, etc. What I’ve personally seen is that many refugees are utterly frustrated with Islam and are very much interested to hear about the God of the Bible. This is a great opportunity and many churches have started with Farsi and Arabic Bible study groups. Many churches have also seen a number of baptisms. Q. Finally, what do you think Christians in Austria can do to help stop the rise of far-right populism in the country? A. I think first of all as evangelical Christians we need to deal with our fear. Fear has never been a good advisor and I believe many people including Christians have huge fear when it comes to migration and Muslims moving to Europe. In addition, I believe the church is called to teach again what the Bible actually says about how we should treat victims of war and persecution, while at the same time I think the church in Austria, but not only here but also in many other parts of Europe, needs to learn to understand what it means to be a witness for Christ in a post-Christian country. Too often we hide behind our Christian heritage which is anyhow only a kind of folk and nominal version of real Christianity. We need to learn afresh what it means to be followers of Jesus in a strange land. I cannot imagine that the first churches in Rome or in Ephesus during the first century were concerned about people from other religions moving into their cities. It was more the opposite: they were so convinced of their own faith that they voluntarily shared it with many adherents of other religions. This is what we should do. This is the challenge before us.